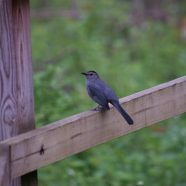 The Great Backyard Bird Count (GBBC) is a free, fun, and easy event that engages bird watchers of all ages in counting birds to create a real-time snapshot of bird populations. This count is fun whether you are an expert, novice, or simply like to gaze out the window at feeder birds! Join us for 15 minutes or the entire watch. The event will include bird related games, activities and snacks.